With a $999 ECU and Harness solution from Holley, there is no excuse for messing with a stock computer on your LS swap any longer! Quit worrying about wiring conversion and stock reflashes thanks to the new Holley Terminator X series of plug and play standalones. 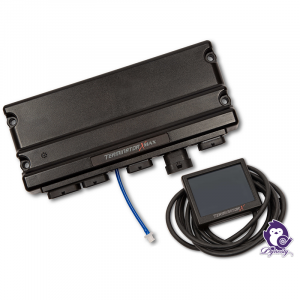 This ECU kit comes complete with a wiring harness and ECU enabling you to plug it in and go! Custom dyno tuning is available and recommended at authorized dealers such as Dynosty in Louisville, KY. 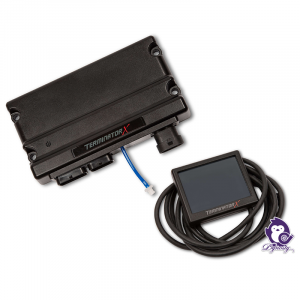 The Terminator X kit is great for cable-throttle swaps with a stick shift or non-electronic trans such as TH400 and Powerglide. Terminator X MAX kit is plug and play for LS Swaps with Drive By Wire and/or electronic transmission control for 4L60 and 4L80.